The fact is Mueller has always been a political animal and didn’t care how he came on top. He is a dishonorable man with no integrity and certainly has no limits to his capacity of corruption. 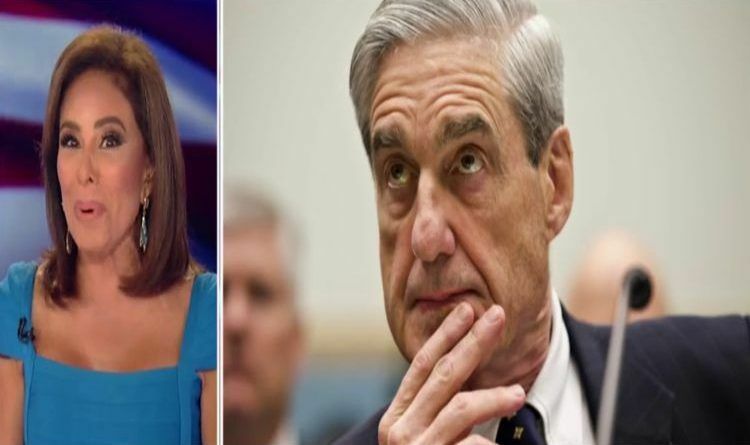 On Fox News Channel’s “Justice With Judge Jeanine,” in her Opening Statement, Judge Jeanine Pirro said that the intentions behind Bruce Ohr and Christopher Steele’s relationship were to tee up an investigation by Special Counsel Robert Mueller. She said the speculation about Ohr’s relationship with Steele — the Trump-Russia dossier author — and Fusion GPS co-founder Glenn Simpson, too, show further proof that President Trump is being framed. Ohr’s wife, Nellie Ohr, worked for Fusion GPS, an opposition research firm that was hired by the Hillary Clinton campaign and the DNC to compile the dossier of potentially damaging information against Trump. Pirro said that it was amazing how Ohr had nothing to do with the Russia probe, yet made himself a part of it in order to get Steele onto Mueller’s team. She asked why the special counsel isn’t investigating the Ohrs, or former FBI officials like Andrew McCabe, Peter Strzok, and James Comey. Pirro also labeled Mueller as the government’s “serial cleaner.” She said he’s now panicking because he has nothing on Trump and that talks of subpoenaing him are ridiculous. Bob is not stupid. He is uncovering everything leading to the deep-state corruption and criminal empire. Great work Bob! I believe as soon as Mueller has to say nothing to see here the hammer will drop on all that is uncovered. The swamp is being drained slowly. Conservatives, use your voice in 2020. Vote Trump! We, the People, must tell the Democrats and the left that we reject their lying, corruption, immorality, unethical behavior, hatred, violence, bigotry, intolerance!